Digest is a summary of all the articles from the previous month. From June until Thanksgiving, my neighborhood farmers market, New Morning Farm, shifts into high gear, swelling with the beautiful bounty of fresh summer produce. 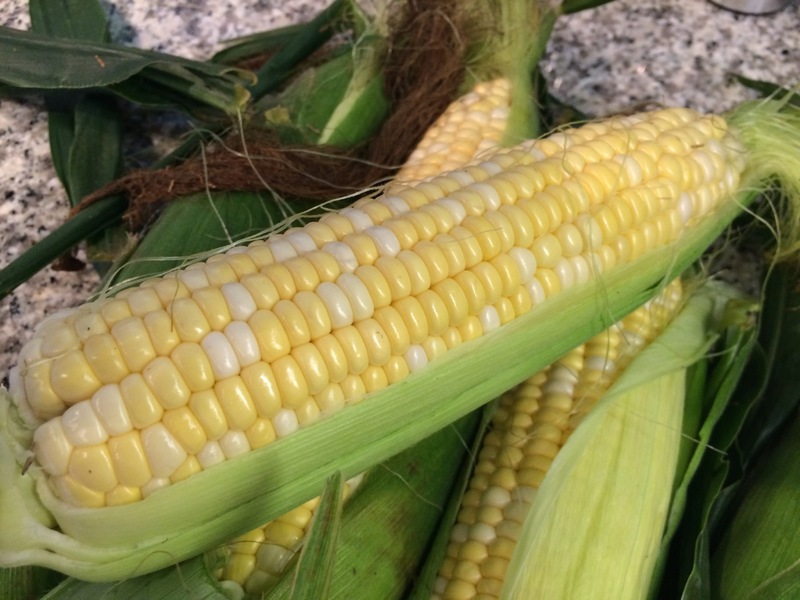 This month, I looked at ways to use the many vegetables currently available, such as sweet corn, zucchini, onions, peppers, cucumbers, tomatoes and more. As inspired by José Andrés' fast-casual vegetable-forward restaurant Beefsteak, the Loaded Quinoa Bowl is an ideal showcase for such vegetables, containing seven vegetables plus avocado. Pasta dishes like Fettuccine with Fresh Tomatoes, Zucchini and Sausage are simple, satisfying fare ideal for midweek meals. With so much beautiful fresh produce available during the summer, sometimes it's hard to know what to do with it. A Turkey Shepherd's Pie is a great way to make use of a variety of vegetables. Of course, farmers markets don't just carry vegetables, but many other fresh foods too, including herbs. 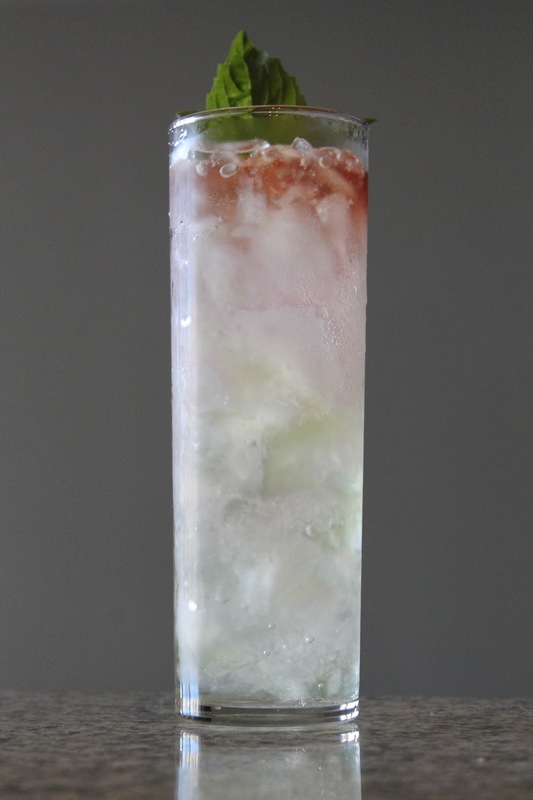 The Basil Smash cocktail features my favorite summer herb, fresh sweet basil. Still looking for more ideas? My 8-2-Eat posts included uses for summer sweet corn and fresh basil. My husband, my mother and I cruised to Alaska last month, a wonderful week-long vacation that gave us an appreciation for the vastness and beauty of America's largest state. Eating in the various ports was the culinary highlight of the trip. The food on the ship was good, although rarely outstanding (and the cocktails were, sadly, a disappointment). 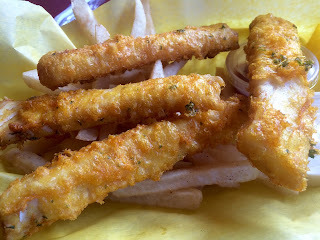 Back on land, I was inspired to make several dishes that pay homage to the state. I put together a Mocha Baked Alaska, that magical treat of a browned meringue encasing coffee chocolate chip ice cream perched atop chocolate cake. For drinks, I made the classic martini-like Alaska Cocktail and invented a frosty Glacier Cocktail inspired by our excursion where we flew up to and walked around on a glacier. 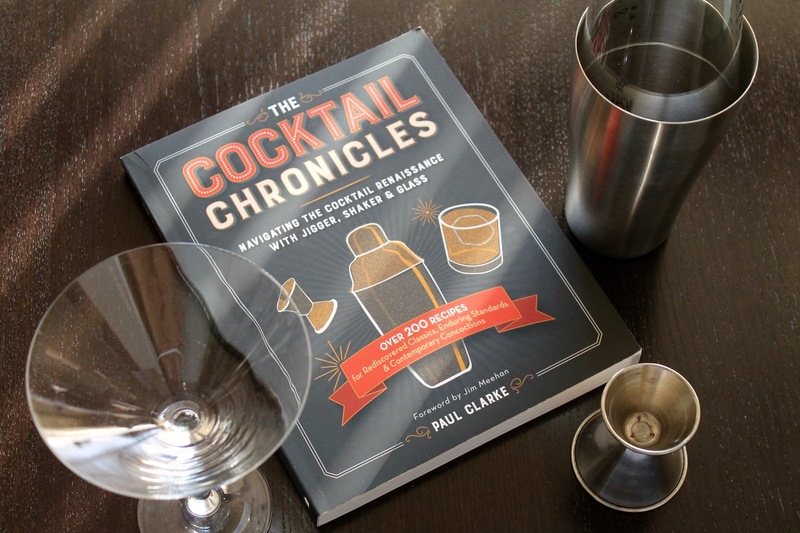 Cocktail writer and Imbibe magazine editor Paul Clarke's wonderful new book, The Cocktail Chronicles, connects the modern cocktail renaissance to its storied past. I reviewed the book and shared a number of its recipes for new and classic drinks. I'll definitely keep this book close, as it joins previous favorites such as The PDT Cocktail Book, The Bar Book and Death & Co.
Southern cuisine gets the Spanish-style tapas treatment at this tasty Arlington, Virginia haunt. We don't cross the river much for food, but have now found a good reason to do so. 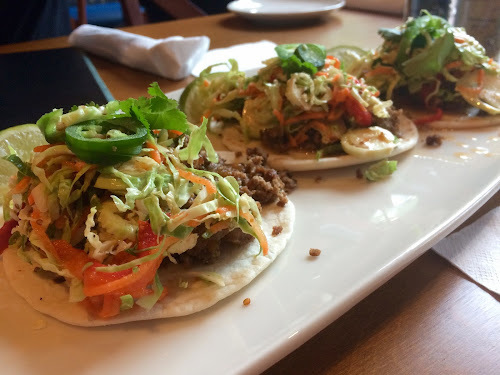 Deep-fried avocado, meatloaf tacos and mac & cheese with shrimp were among the highlights of a very good meal. 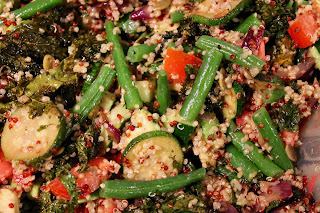 Loaded Quinoa Bowl - a vegetable-focused bowl with a quinoa base and a light lemon and olive oil dressing. Fettuccine with Fresh Tomatoes, Zucchini and Sausage - a simple midweek pasta with fresh summer vegetables. Turkey Shepherd's Pie - a summery riff on the Irish classic with ground turkey and a bevy of summer vegetables. 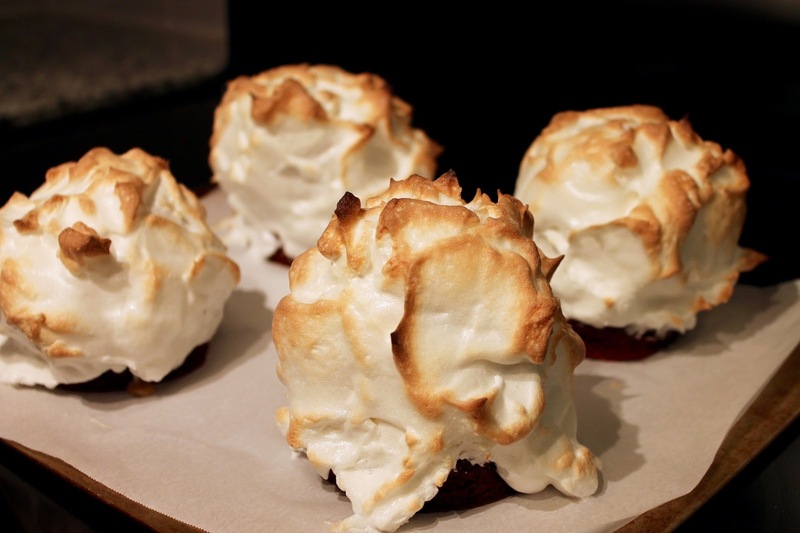 Mocha Baked Alaska - chocolate cake and coffee/chocolate-chip ice cream encased in a browned meringue. Glacier Cocktail - an original frosty creation of white whiskey, blue curaçao, green Chartreuse and orange bitters inspired by Alaska's dramatic blue glaciers. Alaska Cocktail - gin, yellow chartreuse and orange bitters make up this classic cocktail. Manhattan - the classic mix of rye, sweet vermouth and bitters (from The Cocktail Chronicles). Twentieth Century - a classic drink made with gin, Lillet Blanc, white crème de cacao and lemon (from The Cocktail Chronicles). Ephemeral - Old Tom gin mingles with blanc vermouth, elderflower liqueur and celery bitters in this cocktail by Portland bartender David Shenaut (from The Cocktail Chronicles). The Graduate - another cocktail from a Portland bartender, this time Daniel Shoemaker, who created this drink for cocktail writer Paul Clarke made with Scotch, sweet vermouth, curaçao and tonic (from The Cocktail Chronicles). Cook In / Dine Out had a busy July! Love the new digest feature. Thanks! And for the proofread too.